Amada Engineering Europe delivers complex, business-critical software. Frequent system updates caused the workload of system testing to explode, posing a serious risk to vital business operations. With LEAPWORK, the QA team achieved a 90% efficiency gain and were able to test 5 times more applications. Global logistics company automates 100% of regression testing. Software provider automates testing for better customer experience. Global shipping company prepares for automation with LEAPWORK pilot. Global software provider frees up developer resources with automation. Insurer increases productivity and shortens release cycles with company-wide automation. Provider of services to financial and administrative functions eliminated bottlenecks in customer uptake. Major insurer implements automation fast and extends quality assurance. Health care provider improved patient safety with automated monitoring. Utility company automates service desk processes and frees up customer-facing resources. 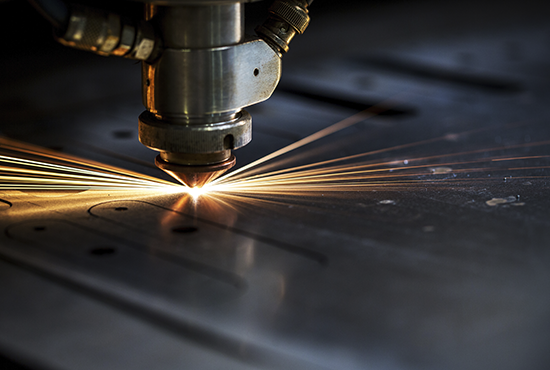 LEAPWORK partner automates business-critical manufacturing system based on DELMIA Apriso. “I've automated both large-scale processes and small-scale validations, and for each scenario there is a functionality. I try every day to reach the edge of customizability, but as far as testing tactics and creativity goes, I haven't found it yet. “We use LEAPWORK for testing the functionality of our ERP system and website. I was able to automate and schedule our entire Procure-to-Pay process. “It’s intuitive and easy to use for both testers and other roles. Team members can apply their knowledge and skills in an automated environment. Compared to hiring additional people specialized in automation, LEAPWORK is cost effective as it lowers overhead and total cost of ownership. Manual resources are freed up for more productive tasks. Testers’ skills are still needed but can be utilized with more focus. LEAPWORK is highly customizable as it allows for creating unique blocks specific to your user environment. “I am a software tester with no programming skills. LEAPWORK is very simple to use and not once have I had to ask a programmer for assistance. Our software moves documents from a web app to a document management system. LEAPWORK has both web automation capabilities and superb image recognition. There are a lot of image recognition tools out there, but none that can double as an automated testing tool. “Very informative documentation and tutorials. Excellent response to inquiries. Customer support which should be the industry standard. “The basic functionalities are easy to use. The ability to create custom building blocks and integrate my test cases with Bamboo is great. Support takes every request and question seriously. Bugs are fixed fast and updates come regularly. It is easy to explain to non-developers how it works – you don’t need to understand code to be able to use it. “When I submitted a question via the live chat support, I received an answer almost immediately, and any problem I reported was always solved to my satisfaction. “We’ve experienced an extremely short timeline from purchasing to full enterprise testing. LEAPWORK is easy to set up, easy to learn, and easy to use. The collaboration features are great, and the Selenium-based web automation is very robust. Pros include the customizable image recognition capabilities and the HD video replay features. Service desk and back-office automation for lower costs. Automated monitoring of end-user experience for lower risk. Automated regression testing for improved product quality.